Bauer Supreme 2S Pro Senior Hockey Skates | Sports Etc. 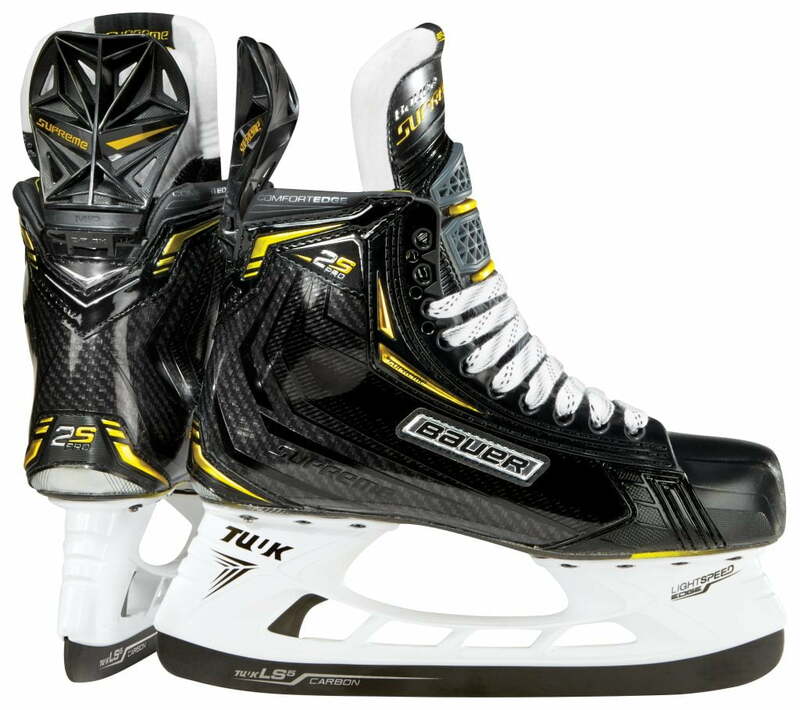 The new Bauer Supreme 2S Pro hockey skates have a new carbon curv composite for extreme durability and lightweight feel. The new LS5 carbon-coated stainless steel will have an approximate 61-69% improvement in overall sharpness level compared to LS2 and other similar blades according to Bauer. The Bauer Speedplate 2.0 is a full custom footbed with multi-layer foam to help increase comfort and support over the previous Speedplate. The 3-piece felt tongue offers a unique blend of flexibility (3 pieces) for full range of motion, and protection with the 52 ounce felt padding throughout the tongue. Sports Etc Performance To Value Rating- 8 out of 10- The ultimate premium high performance skate for the power skater. The lightest skate on the market.